Four photos from a quick visit today. Tim is standing and pointing proudly to his new achievement. 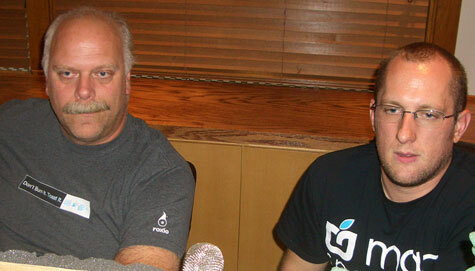 Guy and Kevin are recording a TechFan podcast interview. 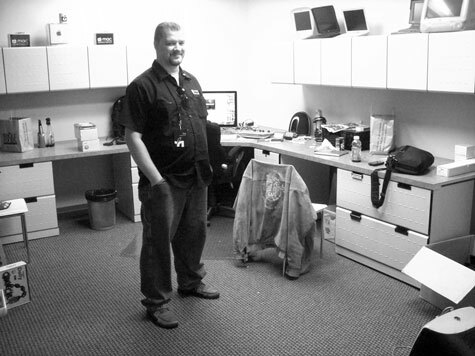 Tim’s office features some of his antique Macs on top of the shelves. 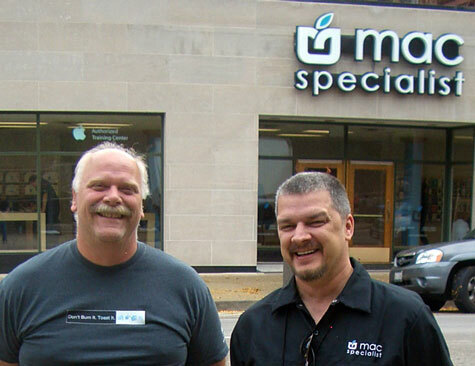 Guy and Tim pose across the street from the store. Additional photos to follow, when available. 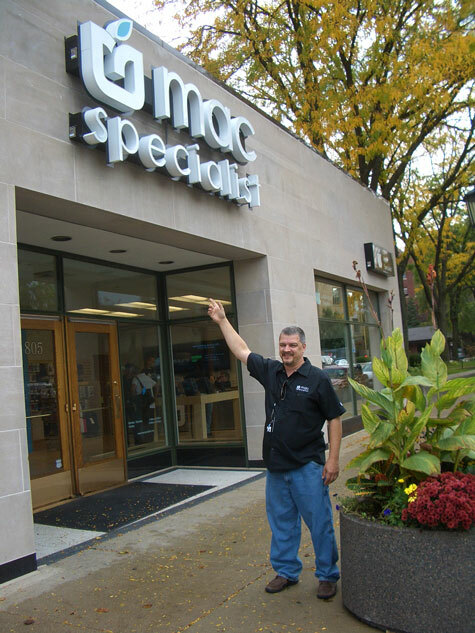 Get to Oak Park, Illinois, to see this beautiful and special new MacSpecialist.